Over the past few weeks, I've felt that Google's use of the Doodle has become somewhat more frequent. It is almost certainly not a coincidence that this feeling has been cropping up in me since the June 2009 launch of Microsoft's Bing. 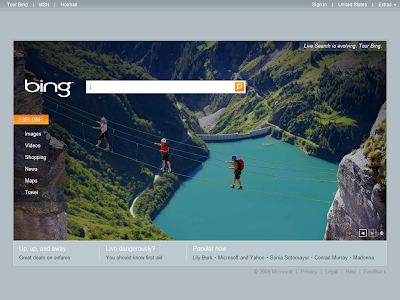 One of the key highlights of Bing's user interface is a new annotated photo that appears on its homepage each day. Not only does it provide feel-good feeling (and good information), it also includes links to interesting searches related to the photo. It's probable that Google has observed that Bing users have liked the images that appear on its homepage, and to ditto this on its own homepage, Google has started making more frequent use of these Doodles. This source shows that Google's use of Doodles in 2009 is expected to be the highest ever in its history (assuming its collection is exhaustive). 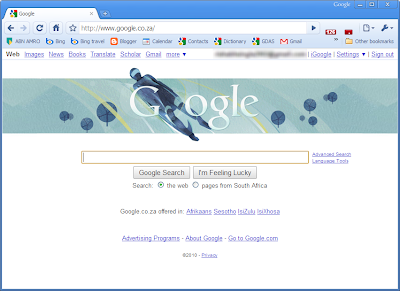 Update (13-Feb-10): Google's Doodle has become larger, taking it closer to Bing.